I packed my bag in a rush and remarkably remembered almost everything, despite my best efforts. I chose my old trusted Brasher boots over my new Meindl boots, as I hadn’t yet broken them in properly. My ‘tuck bag’ was stocked up with snacks and sweets to last me the six day journey, and I had decided to walk without taking a sandwich for lunch and see how I got on. My daily quota was a Nature Valley granola bar, some fruit and nuts to nibble on, a small bag of sweeties, and a pink lady apple. This was supplemented by some of the small refreshments stops on the way. When we left Manchester it was bucketing down with rain, really bouncing off the roads and motorway. For the first 20 miles or so my thoughts were along the lines of ‘I’m glad I brought the umbrella’, but as we got further north the sun came out and my thoughts turned to ‘turned out nice again’. As time was not an issue we left the M6 at junction 36 to meander up through the lake district, past Windermere and Ambleside to Grasmere. There was a JMW Turner exhibition at Dove Cottage (Wordsworth’s abode) - http://www.wordsworth.org.uk and some of the paintings are superb and it is well worthy of a visit (and the guided tour of the cottage). We had a nice pot of tea and toasted teacakes before setting off again towards Keswick, via a back road along the west side of Thirlmere. I was delighted to see a Red Squirrel running alongside the track, but it was too quick for the camera. 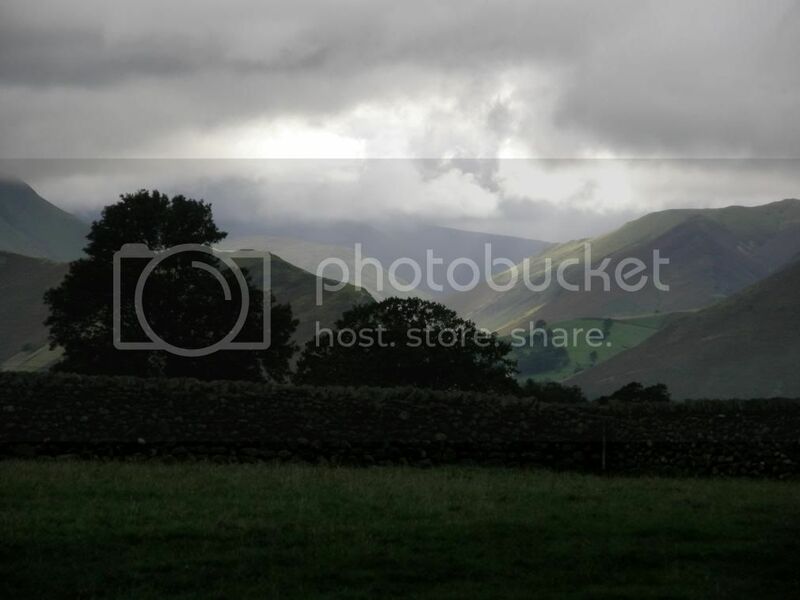 I had been up to Blencathra recently and missed out on a visit to Castlerigg stone circle due to the fact that the wet stuff was falling in torrents. Today there was a dramatic overcast sky with the sun shining in the distance giving a glimpse of Skiddaw. 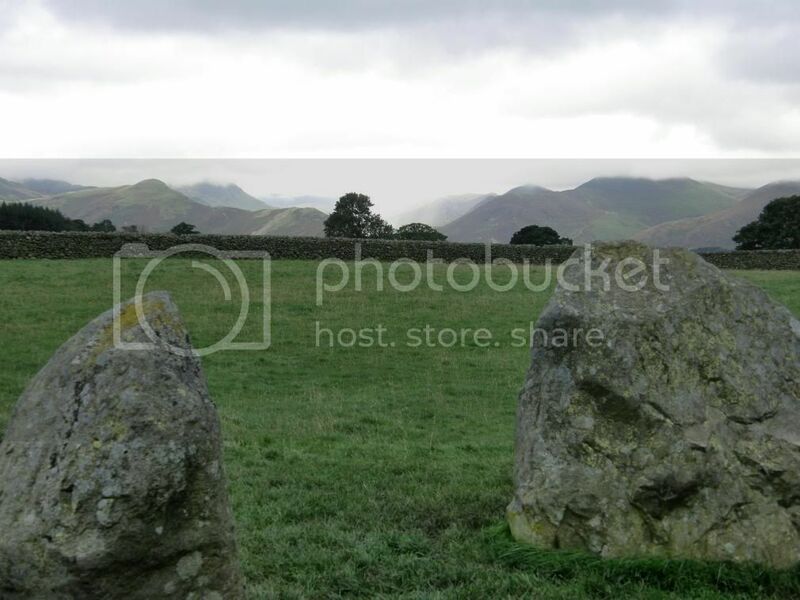 The stone circle is set on an upturned saucer shaped mound and gives great views of the surrounding fells – no surprise that our ancestors chose this site – it was and is very atmospheric. From the stone circle we made our way up to Bowness-on-Solway via many small B roads, with the final stretch over a small tidal creek before reaching the village. There is a Roman fort at Bowness-on-Solway but nothing on show on the ground. Apparently the villagers had invited ‘Time Team’ to come and have a dig around, but the local landowner wasn’t keen on the disruption. A big shame really as it would make a fine beginning or end to the Hadrian’s Wall walk. I dropped off my baggage at the Old Rectory B&B and walked up to the village pub. The fare on offer didn’t look the best and they were very busy and understaffed, so being in possession of a fine limousine we exited to the next village to the Joiners Arms and had a nice chicken curry to round off the day. As we returned to Bowness-on-Solway, I was amazed to see the northern lights – the street lights of Annan in Scotland. I got my gear ready for day one and anticipated the journey ahead.